Thursday’s Full Moon is called Chitra Purnima. Being the first Full Moon in the Vedic New Year, it is a time to erase karmic records that hold you back from creating a new life and fulfilling your dreams. The archetype who is believed to be responsible for keeping your karmic records, aka your Akashic Records, is Chitragupta. According to tradition, invoking Chitragupta and helping the poor on this day can erase a lot of your negative karma. Our expert Vedic priests are planning very special Fire Prayers to invoke Chitragupta on Friday IST. They will also feed hungry people at Arunachala, the Mountain of Fire that is believed to be a physical manifestation of Shiva, the Karma Removal Archetype. Full Moons are also powertimes for Lakshmi, Goddess of Wealth. Every Full Moon, students of Dr. Pillai chant the Shreem Brzee wealth mantra, individually or in groups. 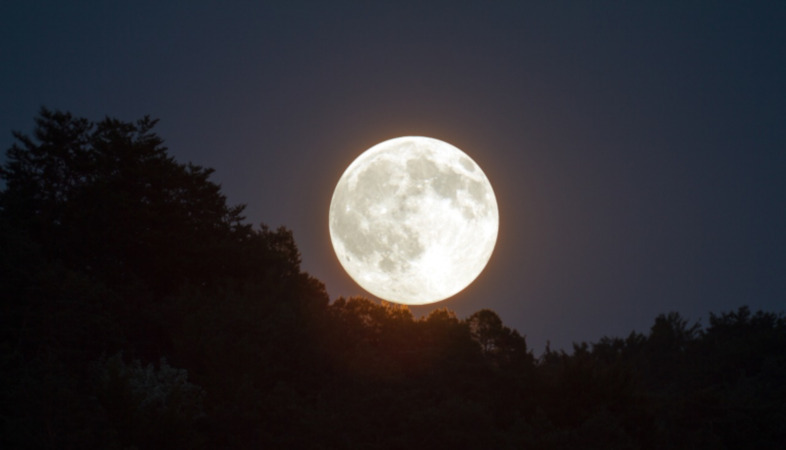 This particular Full Moon will be in Chitra, a star that emits the energy of learning and enlightenment. Pillai Center offers opportunities for group activities on Full Moons because praying and chanting in groups is said to multiply your manifesting efforts. We will celebrate the Full Moon with both an eastern and a western Fire Lab, and we will celebrate Chitra Purnima with a lot of powerful offerings. See details below. Use Lakshmi’s wealth mantra: Shreem Brzee. It invokes the Goddess to help you eliminate poverty consciousness and attract spiritual and material wealth. Chant it as often as possible, even while shopping or when waiting in line to pay for your Slurpee. Feed hungry people. Dr. Pillai says, “(You) need to worship him on that day with a special food, which is tamarind rice and a special kind of Indian grain called horse gram. You can offer horse gram and cooked tamarind rice to Chitragupta and donate it to poor people. If you miss this occasion, you have to wait for one more year for the Chitra Full Moon again. So it is better to do it now.” If you don’t have these ingredients, don’t worry. It is still auspicious to feed people whatever food you can offer them. Join the Chitra Purnima Offerings for Erasing Karmic Records on Friday, April 19 IST. Invoke Chitragupta, asking him to clean your karmic slate so you can create a fulfilling life. There are multiple packages to choose from to suit your budget, and even some a la carte services. Benefit from ancient Vedic proxy (distance) technology from home through the expert Vedic priests. Join the Accept Abundance Interactive Fire Lab on Thursday, April 18 PDT. This Fire Lab will be performed in India by our expert Vedic priests. Vedic New Year – Victory Starts NOW! Read Pillai Center Blog in your email? The Pillai Center Blog shares the latest news, spiritual techniques, and teachings from Dr. Pillai and his global mission.